The long wait is over. Finally another game for the Gilas was set on Wuhan China. 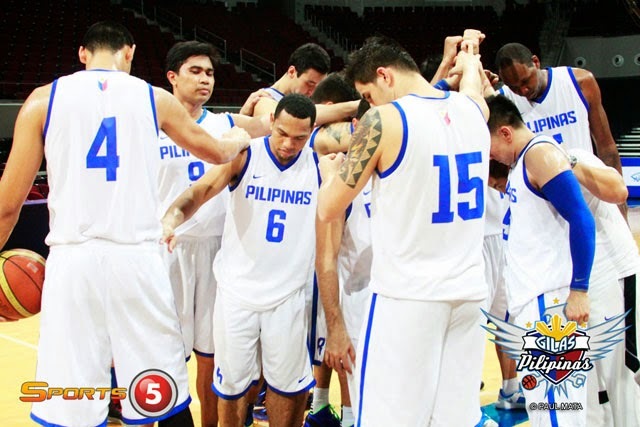 The Team Pilipinas will fight for the FIBA ASIA CUP 2014. As the gilas having a good spot at the FIBA ranking, Gilas now has the history and they will play for the FIBA WORLD CUP in Spain. But before the world cup lets support them on their upcoming games vs the top team in Asia. On July 11-19 they're going to compete and they need our support. TV5 has giving as a chance to watch they're game via satellite. These are the broadcast schedules of Team Gilas Pilipinas for at TV5 Aksyon.